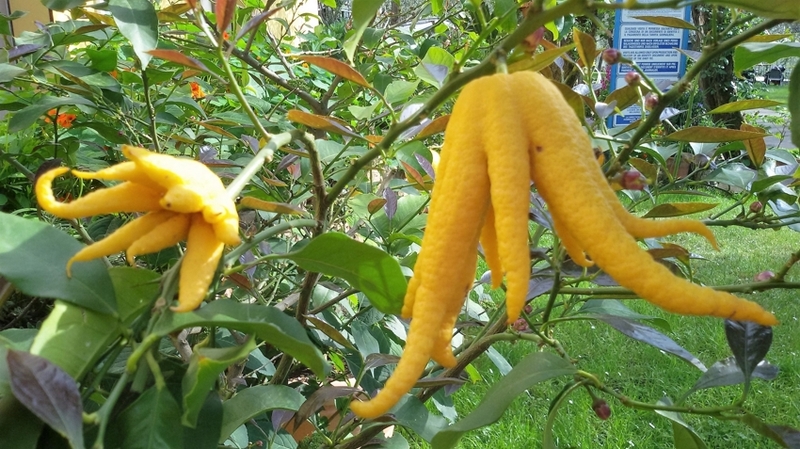 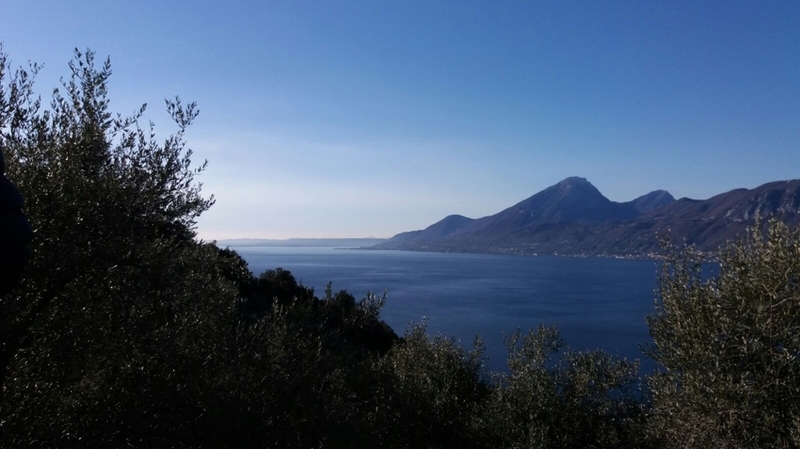 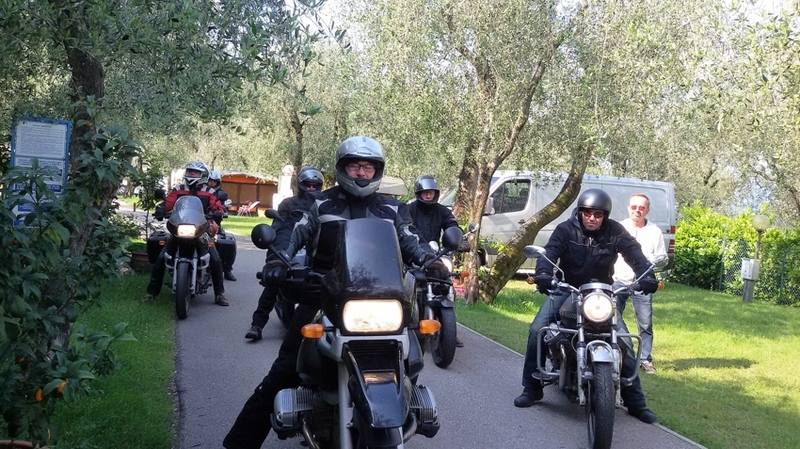 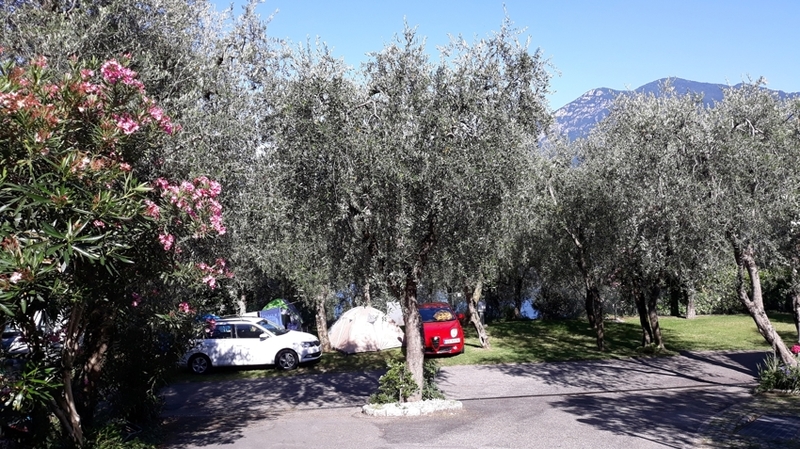 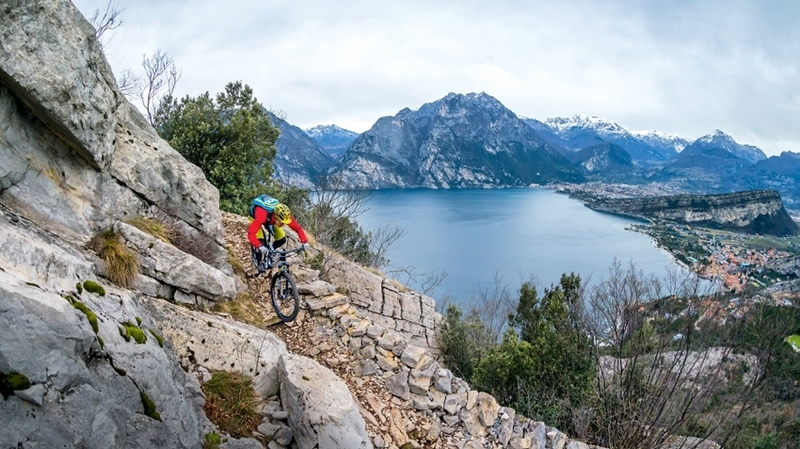 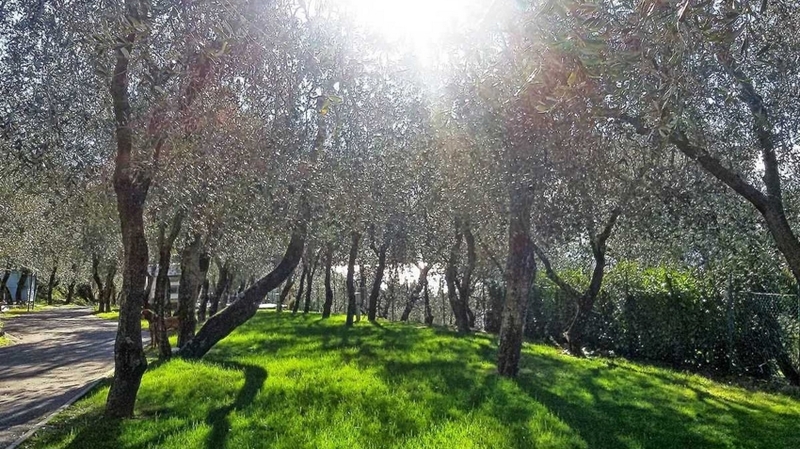 Camping Le Maior in Brenzone is a magical place with old olive trees and a wonderful view of Lake Garda. 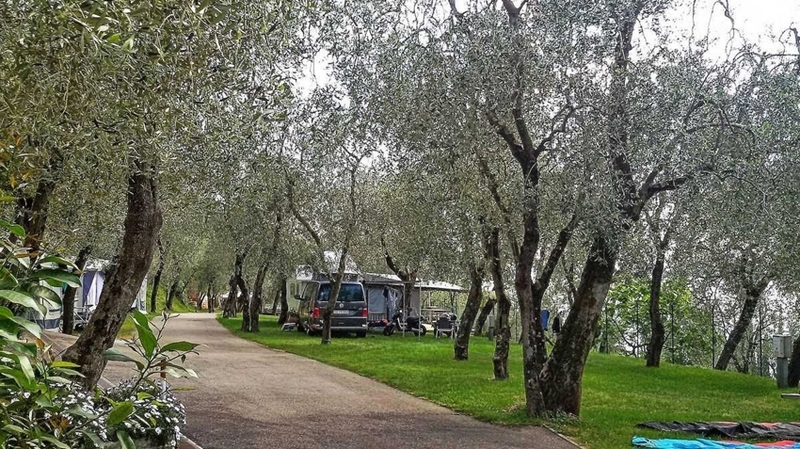 Thanks to its central but quiet position, it is the ideal holiday resort for active travellers, families and tranquillity lovers. 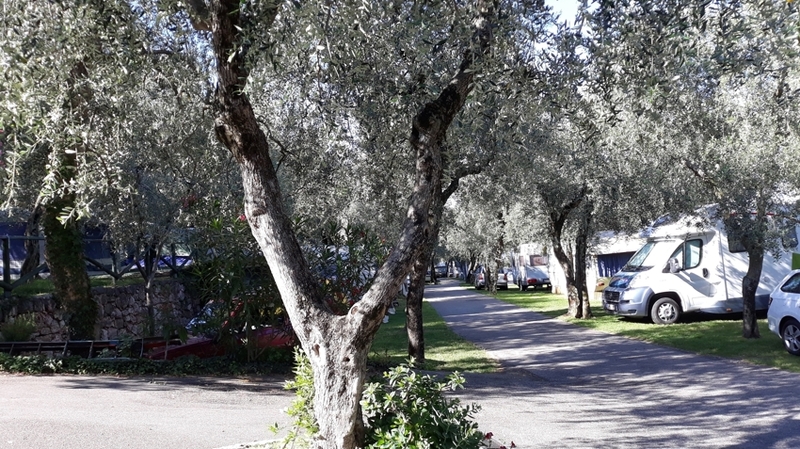 The beach is located 200 m from the campsite. 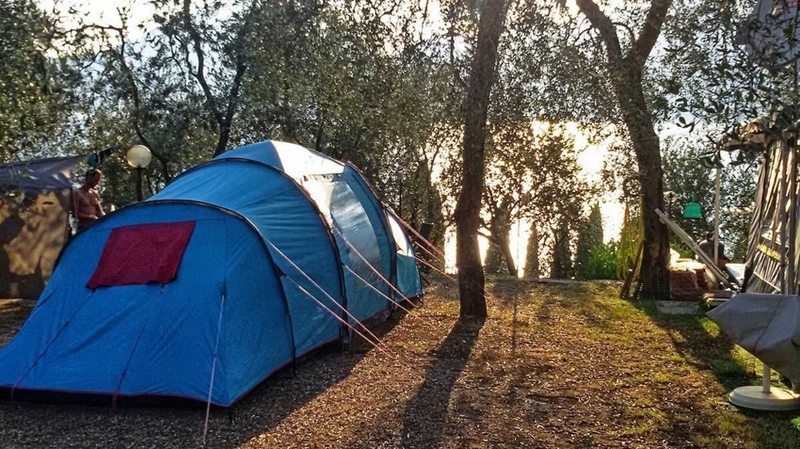 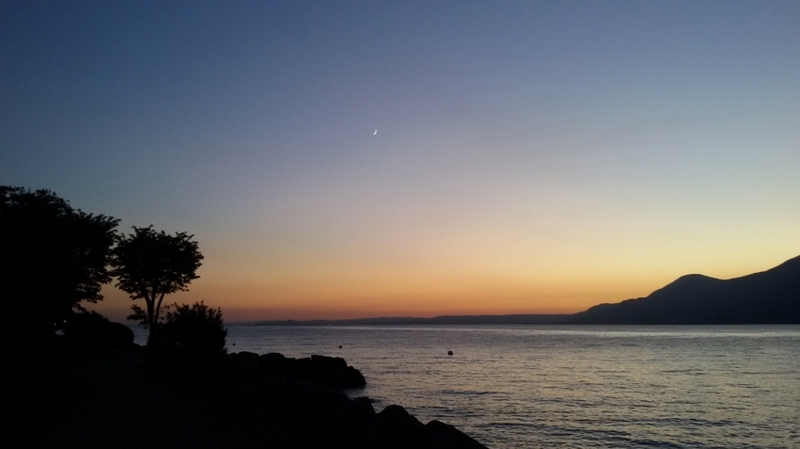 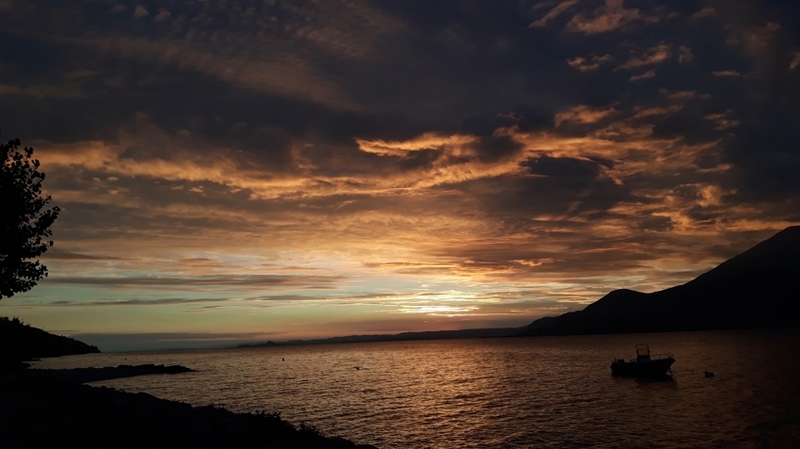 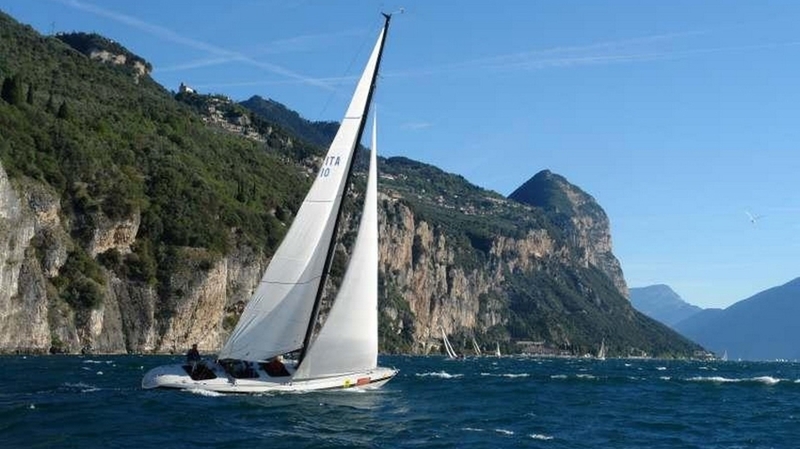 On Camping Le Maior, you will find shady pitches for tents and campers, with a magnificent view of Lake Garda. 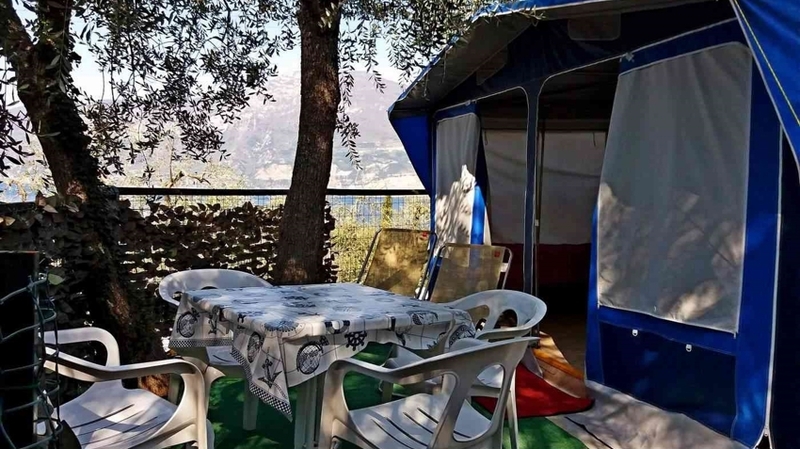 As well, you can rent mobile homes for 2-6 persons, that are completely furnished, also with a beautiful veranda with sitting area as well as a TV. 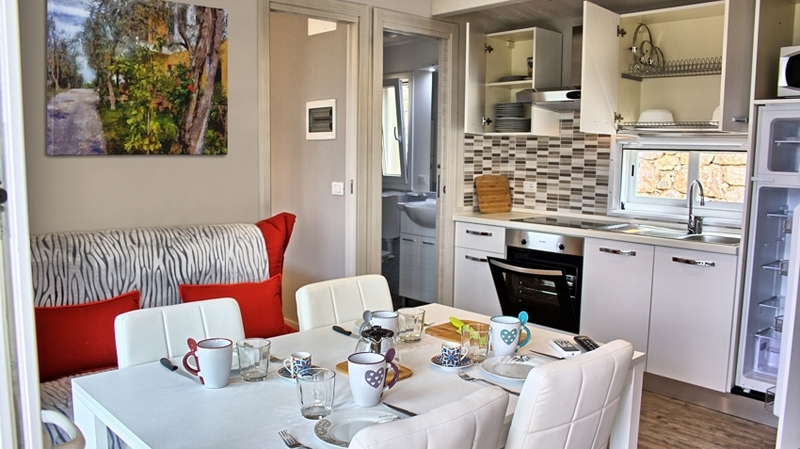 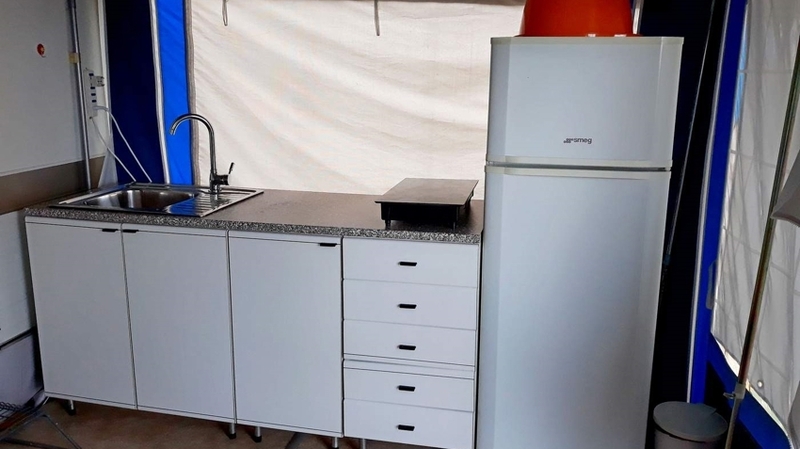 The new mobile homes in the Mediterranean style are very comfortable and have air conditioning, a bathroom, a kitchen with oven, a TV and a veranda with lakeview. 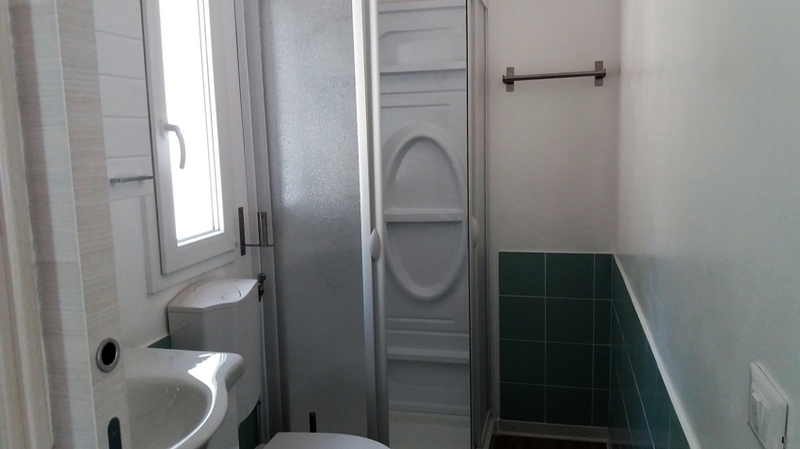 The shared toilets and facilities are modern and very clean. 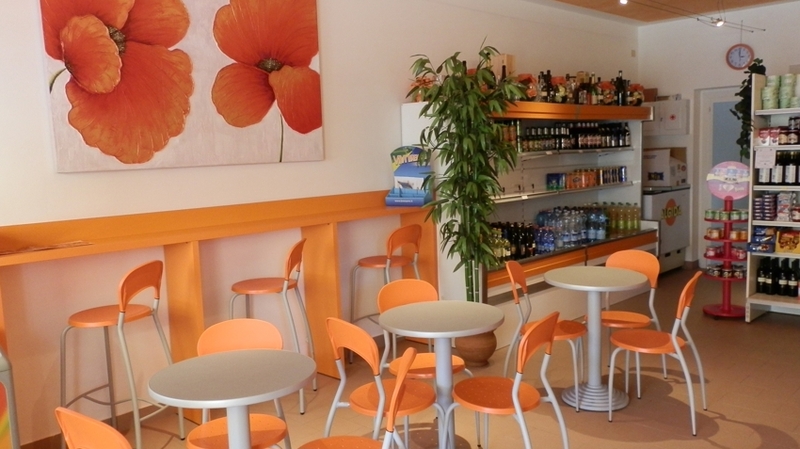 In the bar, you can enjoy snacks or aperitifs in nice company. 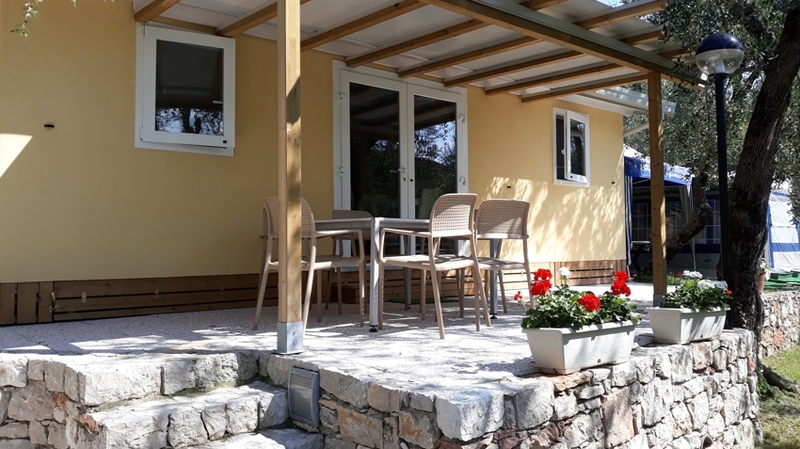 The guests will also look forward to a covered barbecue area and to free WLAN. 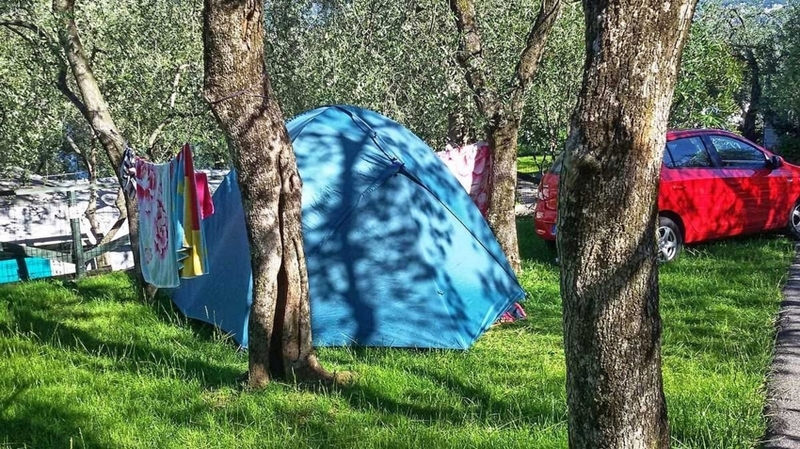 Dogs are welcome on the campsite. 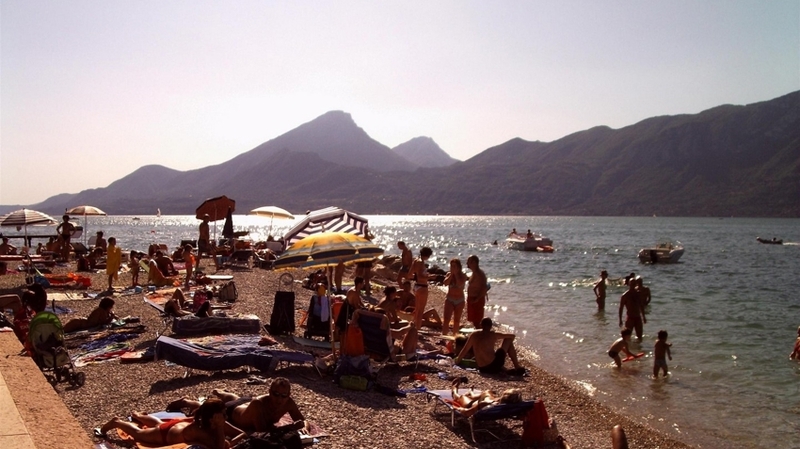 Only 200 m from Comping Le Maior, there is a wonderful beach for relaxing and regenerating. 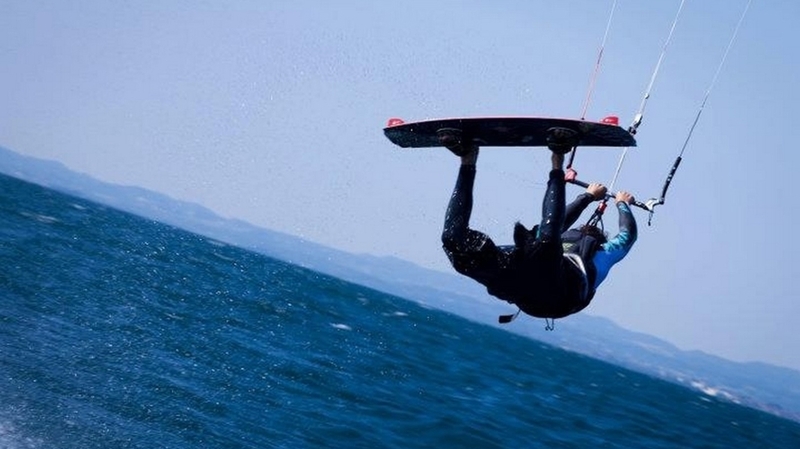 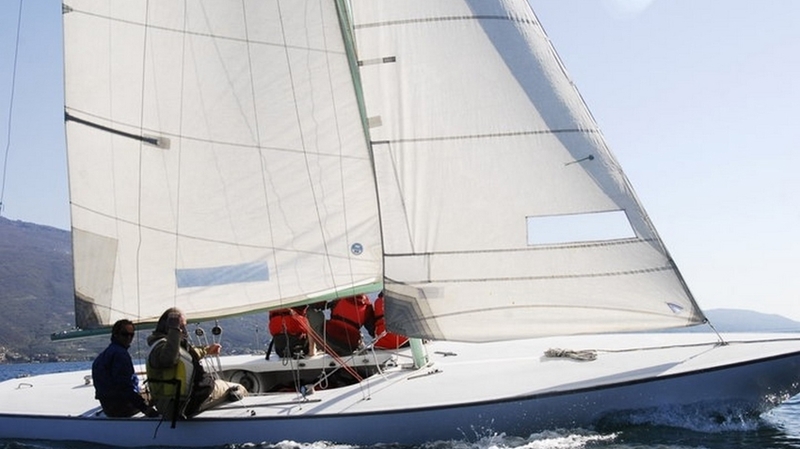 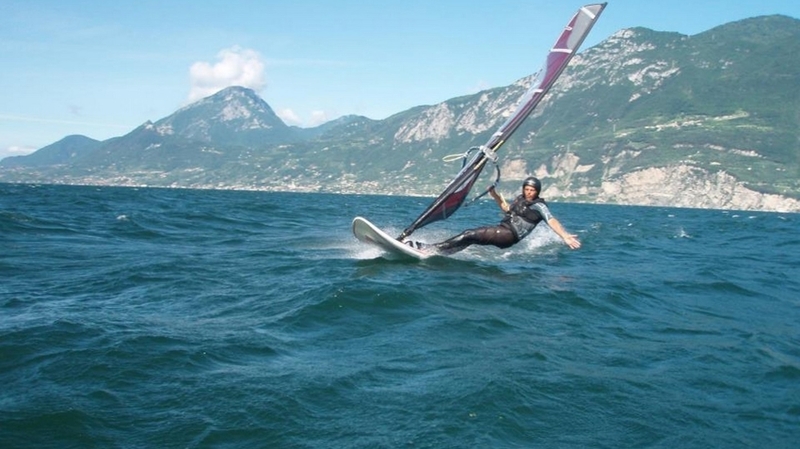 As well, sports fans will love our campsite as we have a surf and sailing school. 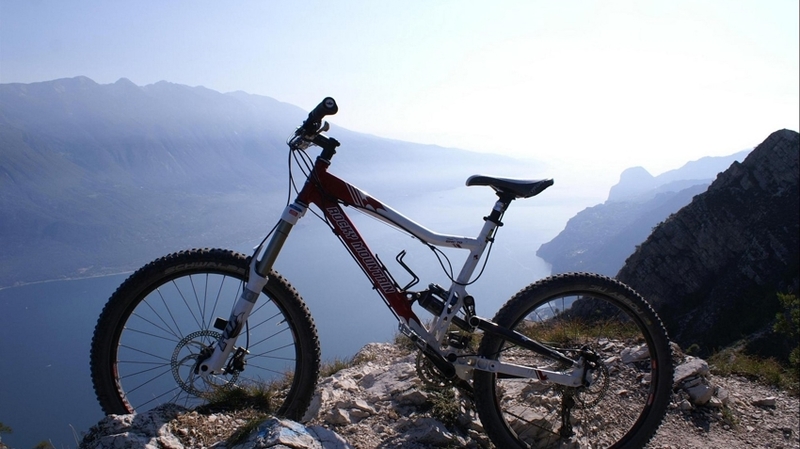 Hikers and mountain bikers can start their tours directly from the campsite. 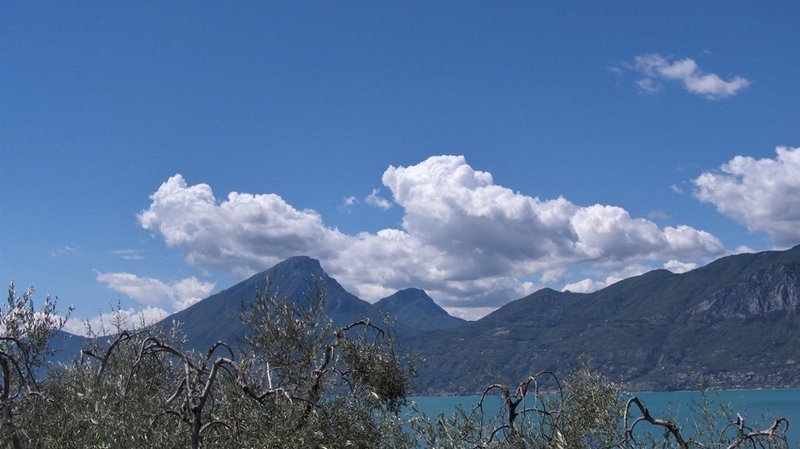 At the reception, we offer hiking amps and the best tips for tours. 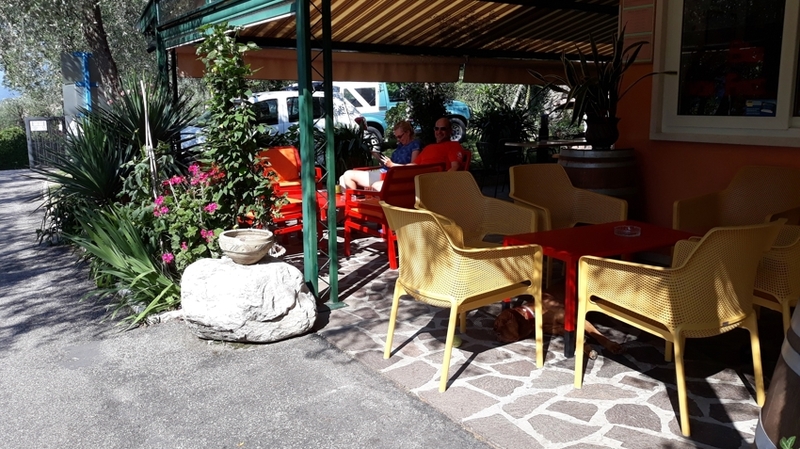 A bus stop is located within 200 m of distance and the panoramic cableway from Malcesine to Monte Baldo is situated within 7 km of distance. 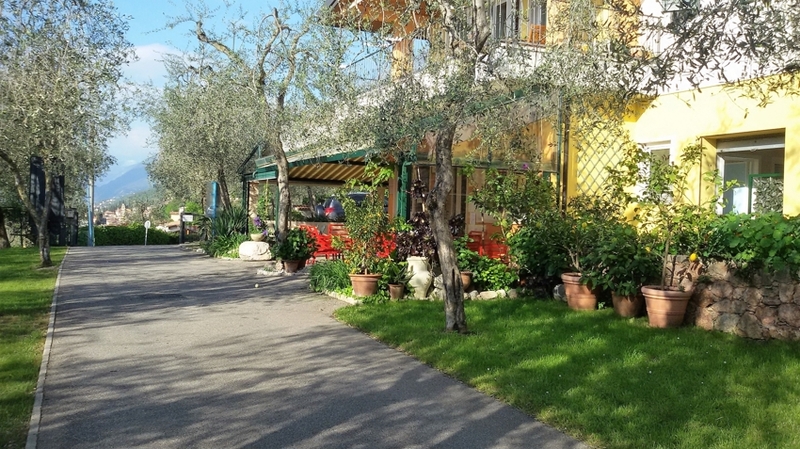 Families will love the amusement and nature parks such as Gardaland, Canevaworld or Giardino Sigurtà. 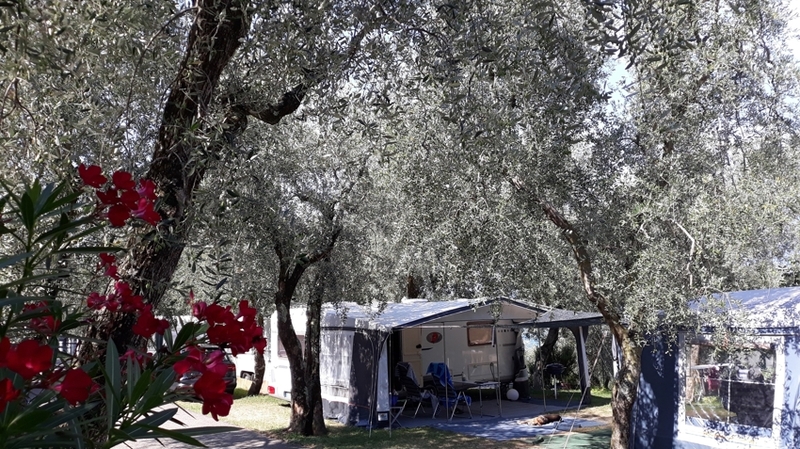 PITCHES (Car + Tend or Caravan, Camper): € 12,00 - € 16,00 ADULTS: € 7,50 - € 9,50 CHILDREN (1/5): € 3,50 - € 5,00 CHILDREN (0/1): Gratis INCLUDED IN THE PRICE – Our prices include all Campground services, V.A.T., 24hour a day hot water for showers and sinks. 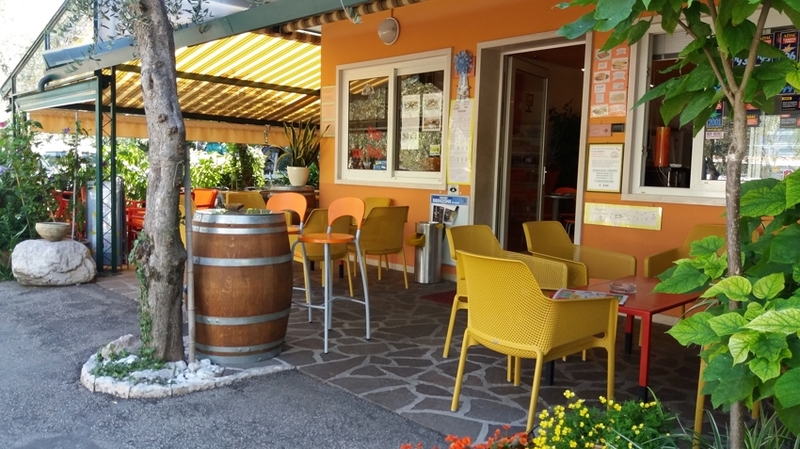 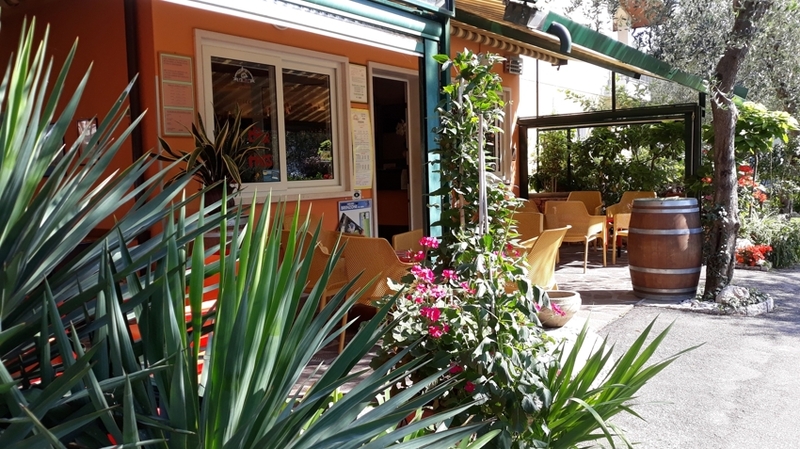 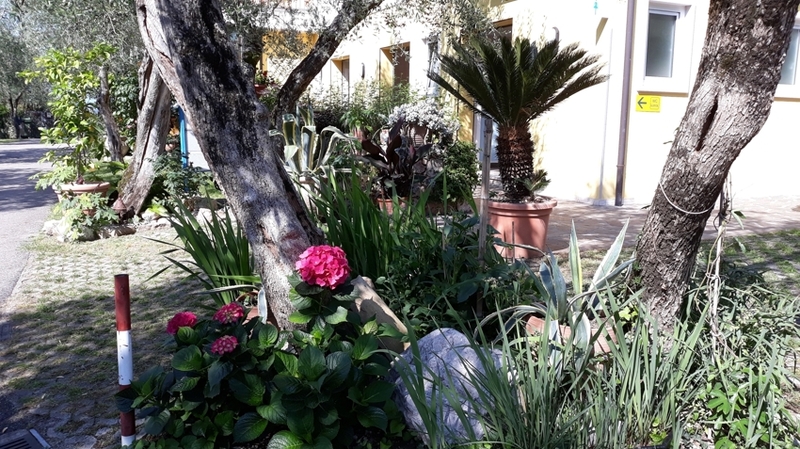 – Free use of our grill – WiFi in the reception area free of charge NOT INCLUDED IN THE PRICE – Electrical connection is optional, power 6 ampere, € 1,50 a day. 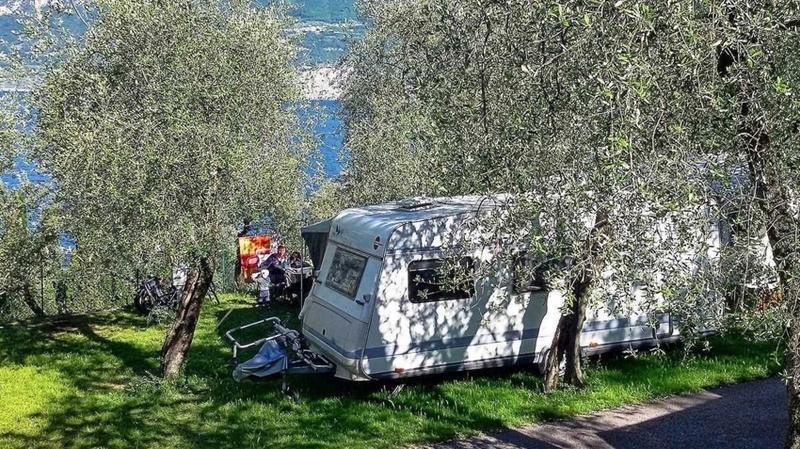 – Dog: € 2,00 a Day – City tax € 1,00 per person per day, Children till 12 years old are exempt Reservations are accepted subject to € 100,00 down payment. 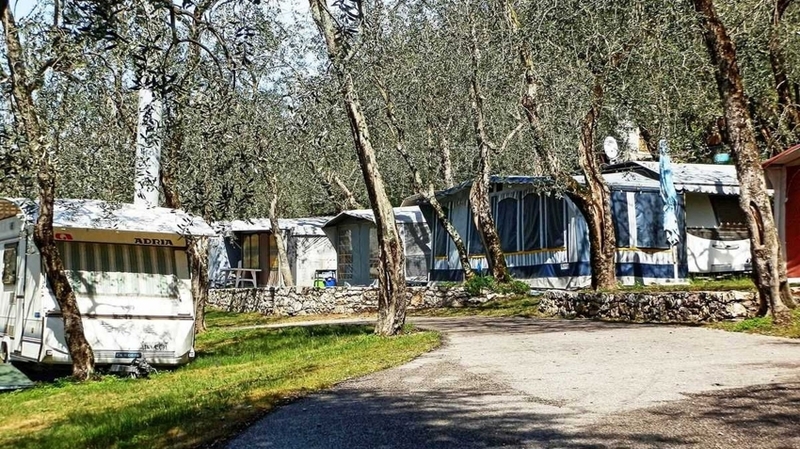 CARAVAN FOR 2 PEOPLE: € 43,00 – € 63,00 CARAVAN FOR 3 PEOPLE: € 55,00 – € 83,00 CARAVAN FOR 4 PEOPLE: € 72,00 – € 100,00 CARAVAN FOR 5 PEOPLE: € 80,00 – € 108,00 INCLUDED IN THE PRICE – Prices include the people indicated, one car, electrical connection and all campground services, VAT, hot water for showers and sinks. 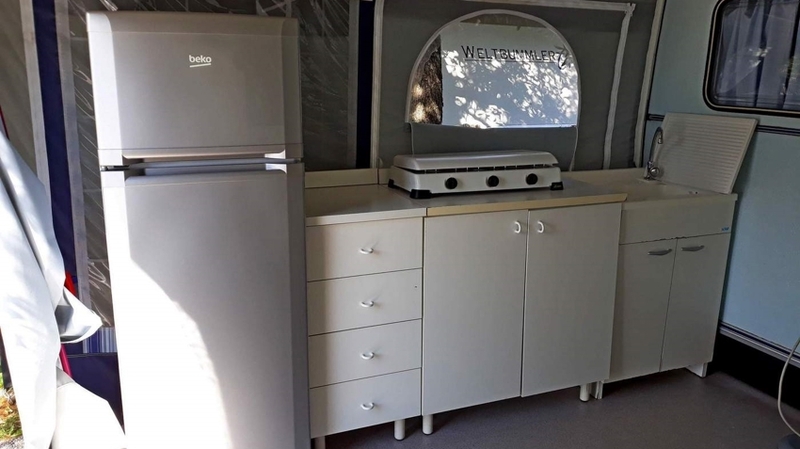 – Free use of our grill – WiFi in the reception area free of charge NOT INCLUDED IN THE PRICE – Final cleaning € 15.00 – Dog: € 2,00 pro Tag – City tax € 1,00 per person per day, Children till 12 years old are exempt Our caravans are equipped with porch, refrigerator, stove, plates, glasses and cutlery. 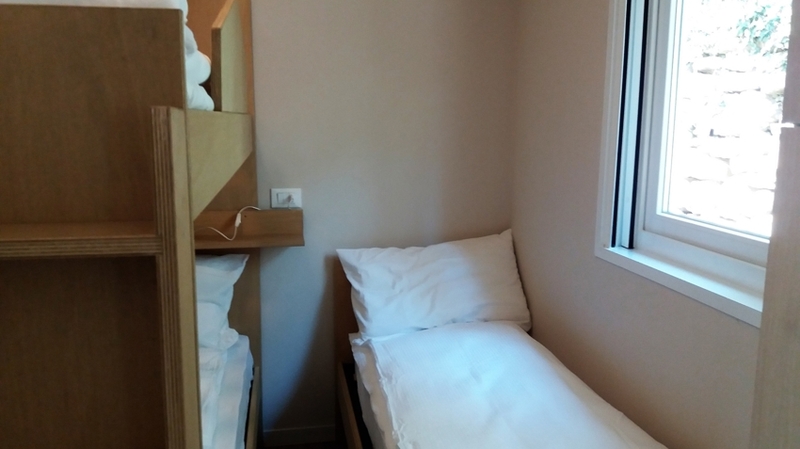 Are unproved with sheets linen. 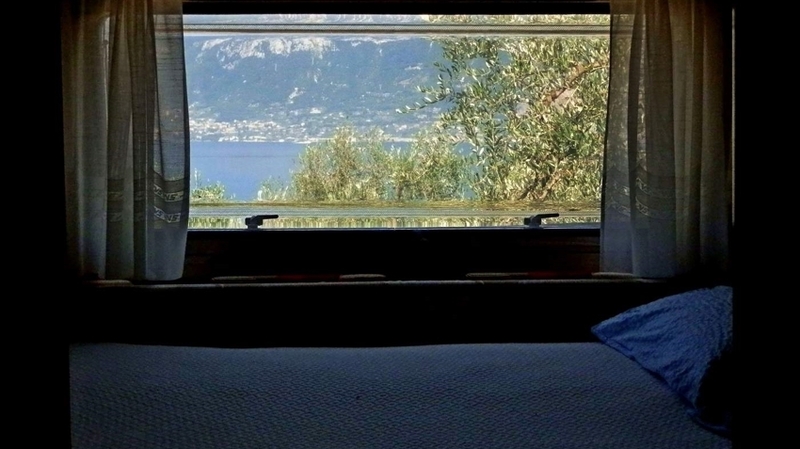 Pillow are proved. 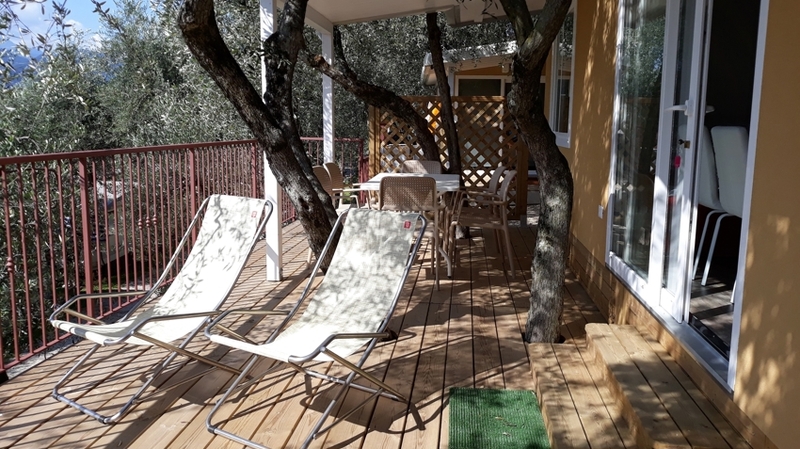 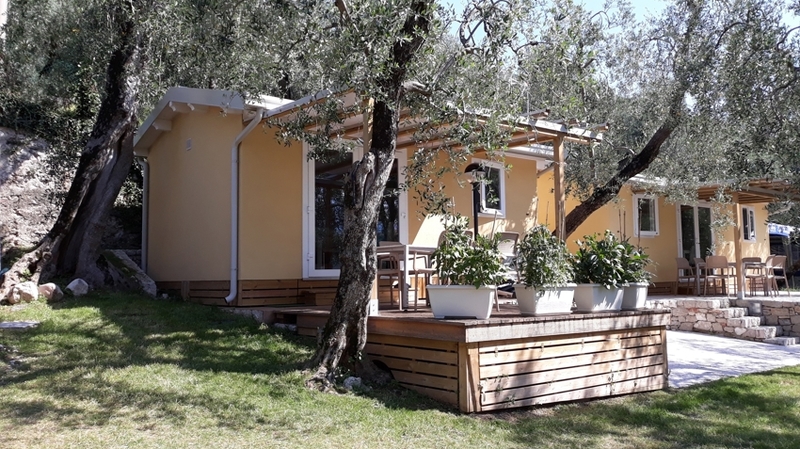 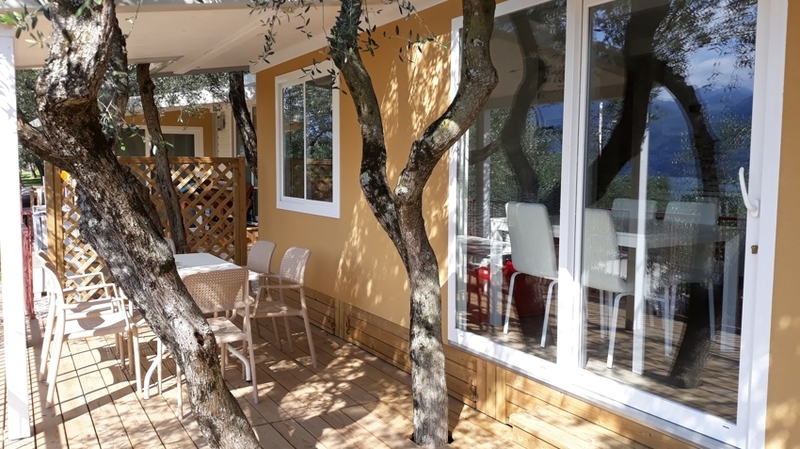 Since 2017 the Camping Le Maior offers its guests two new bungalows with veranda and lake view. 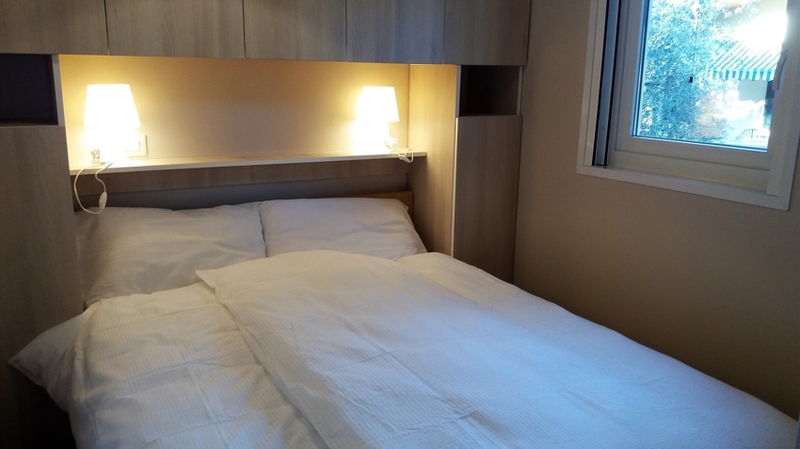 Comfortable and well equipped, with parking adjacent, heating and air conditioning. 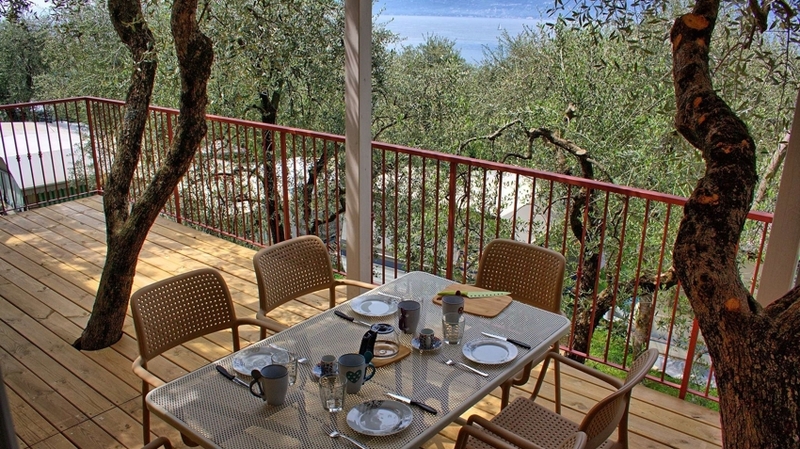 The bungalow “Ora” (as the afternoon breeze that blows from the south) can accommodate up to 6 people. 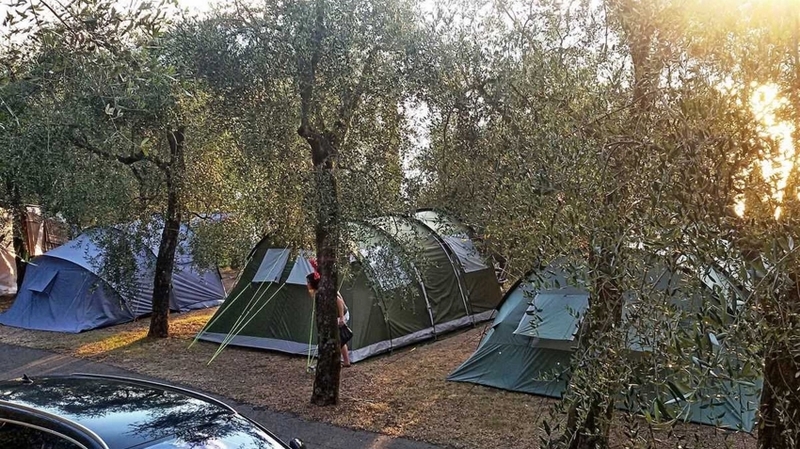 2 PEOPLE: € 60,00 - € 90,00 3 PEOPLE: € 80,00 - € 110,00 4 PEOPLE: € 100,00 - € 130,00 5 PEOPLE: € 115,00 - € 150,00 6 PEOPLE: € 130,00 - € 165,00 INCLUDED IN THE PRICE – Bed linen – Parking for 1 car next to the bungalow – Free use of our grill – Heating, Tv-Sat – WiFi in the reception area free of charge NOT INCLUDED IN THE PRICE – Final cleaning € 35.00. 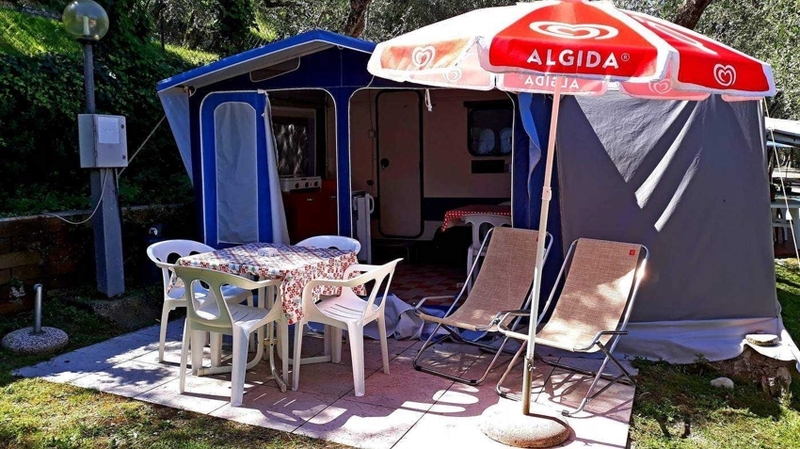 – Towels available on request € 5,00 person – Bed linen change € 5,00 person – Air conditioner € 2,00 day – Dog: € 2,00 a Day – City tax € 1,00 per person per day, Children till 12 years old are exempt Bungalow Ora Equipment: – Living room (gas stove with 4 fire and oven, fridge, dishes and cooking utensils, sleeping sofa for 2 persons, table with 4 chairs) – Bedroom (double bed, bunk bed x 2 persons) – Bathroom (shower, wc, washbasin) – Terrace (4 x 3m, covered, with lake view, table with 6 chairs) Booking with € 150,00 payment in advance. 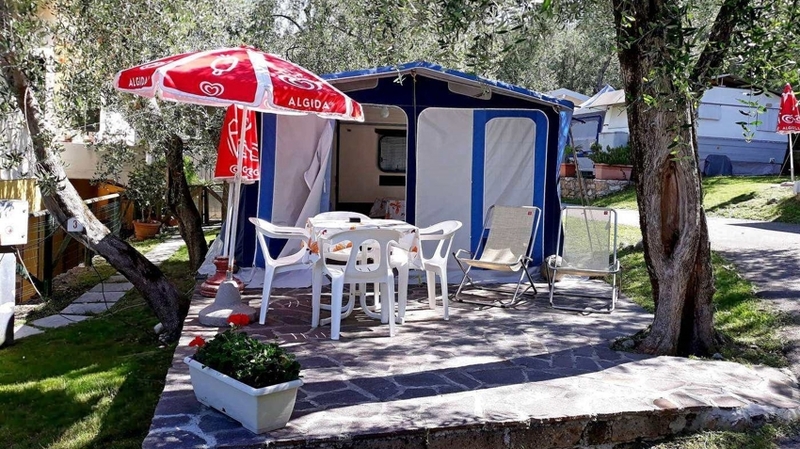 Since 2017 the Camping Le Maior offers its guests two new bungalows with veranda and lake view. 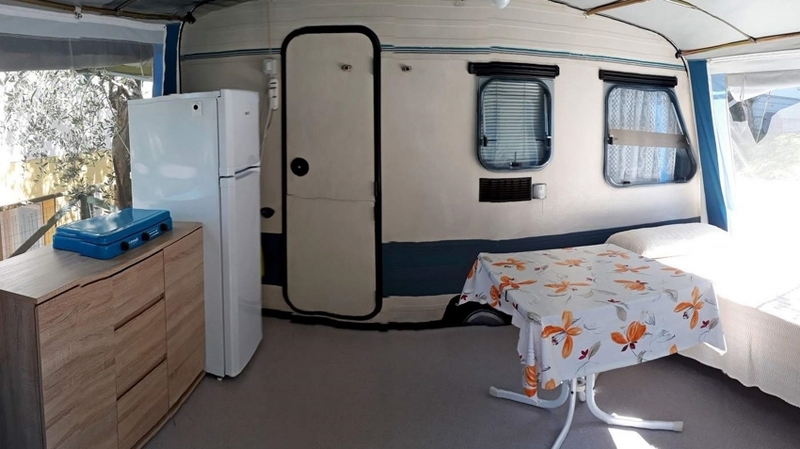 Comfortable and well equipped, with parking adjacent, heating and air conditioning. 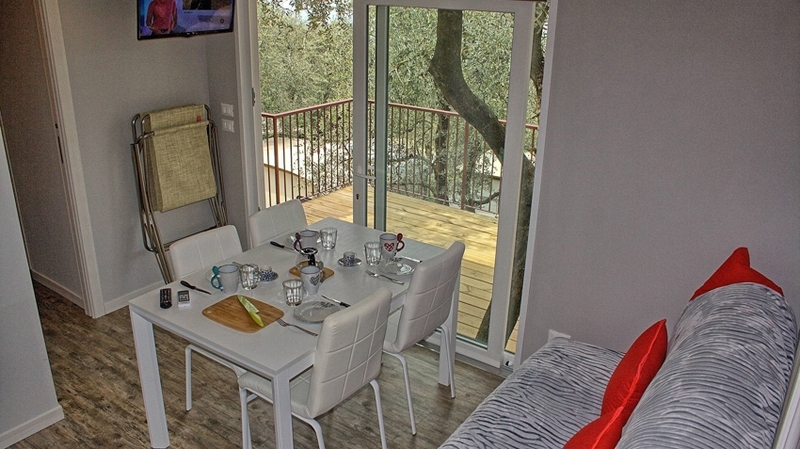 The bungalow “Peler” (as the typical morning wind blowing from the north) can accommodate up to 7 people. 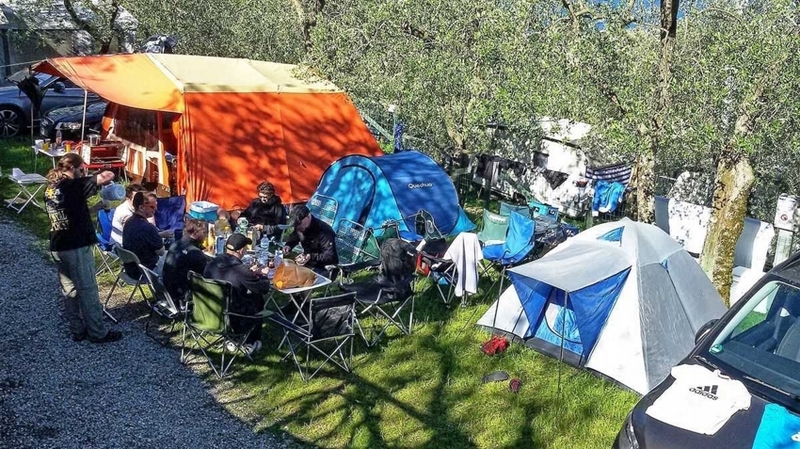 2 PEOPLE: € 65,00 - € 95,00 3 PEOPLE: € 90,00 - € 125,00 4 PEOPLE: € 110,00 - € 145,00 5 PEOPLE: € 125,00 - € 165,00 6 PEOPLE: € 140,00 - € 180,00 7 PEOPLE: € 155,00 - € 195,00 INCLUDED IN THE PRICE – Bed linen – Parking for 1 car next to the bungalow – Free use of our grill – Heating, Tv-Sat – WiFi in the reception area free of charge NOT INCLUDED IN THE PRICE – Final cleaning € 35.00. 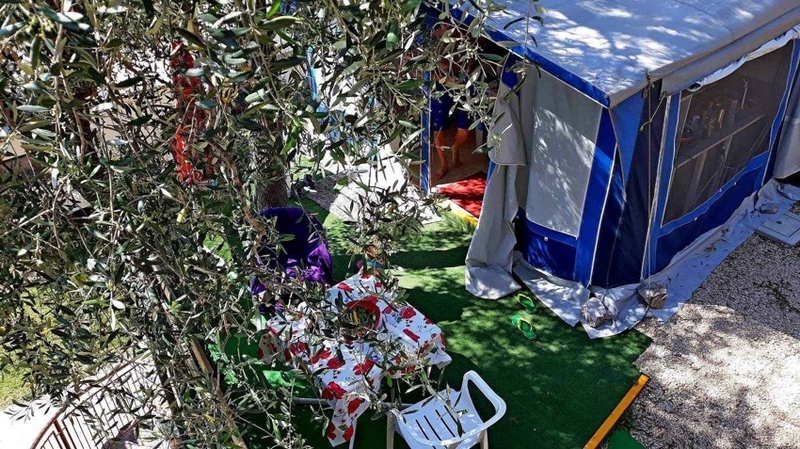 – Towels available on request € 5,00 person – Bed linen change € 5,00 person – Air conditioner € 2,00 day – Dog: € 2,00 a Day – City tax € 1,00 per person per day, Children till 12 years old are exempt Bungalow Ora Equipment: – Living room (gas stove with 4 fire and oven, fridge, dishes and cooking utensils, sleeping sofa for 2 persons, table with 4 chairs) – Bedroom (double bed) – Bedroom (single bed, bunk bed x 2 persons) – Bathroom (shower, wc, washbasin) – Terrace (4 x 3m, covered, with lake view, table with 6 chairs) Booking with € 150,00 payment in advance.